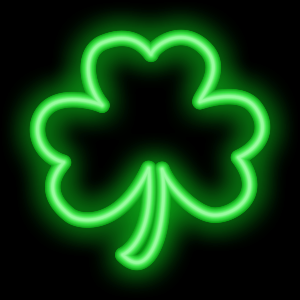 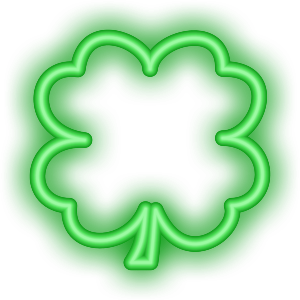 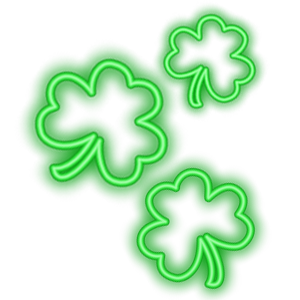 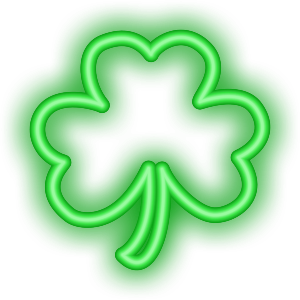 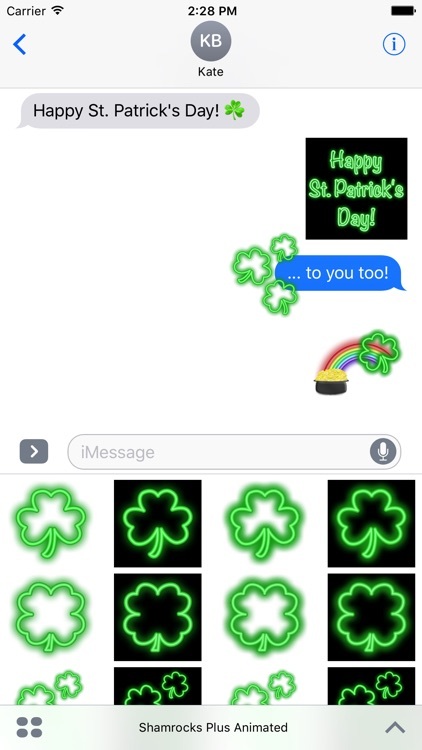 Shamrocks Plus Animated Sticker Pack for iMessage by FreshAir Software, Inc.
Just in time for St. Patrick's Day! 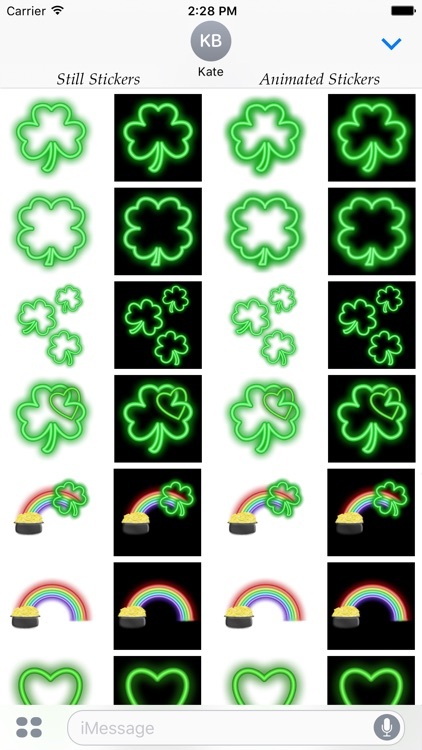 This new sticker pack for iMessage includes neon shamrocks, green hearts, rainbows, and more. 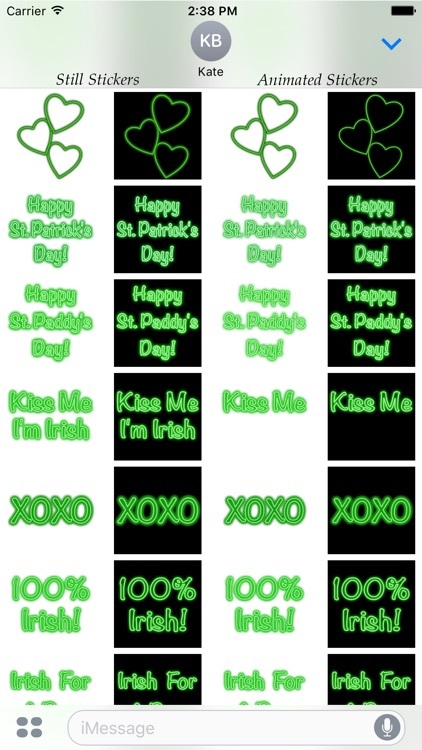 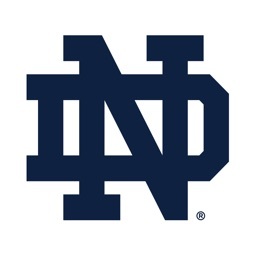 Sticker backgrounds are clear for layering, or black for an enhanced neon effect. 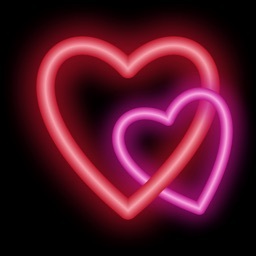 Animated neon signs flash and hearts throb. 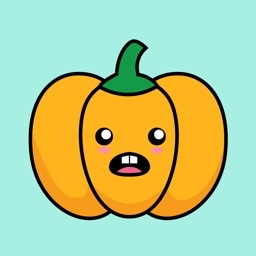 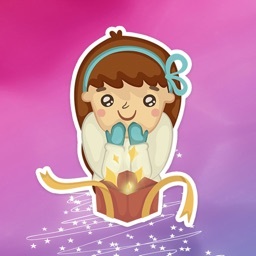 Your text messages say more with stickers! 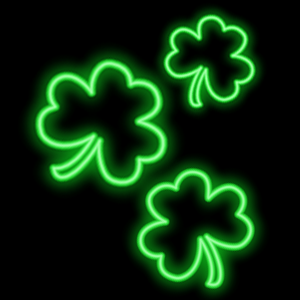 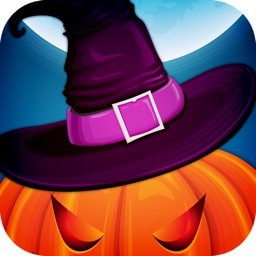 And if you like the stickers, check out the NeonFrames app by FreshAir Software. 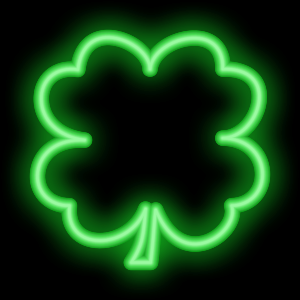 Frame your photos with neon shapes and create your own neon signs to share.